I’m happy to partner with Primo Water for this post on How to Drink More Water Every Day and Love It! We always hear about how we need to drink loads of water, and honestly, most people don’t come near their daily recommended amount of water. How much should you drink? The current recommendation is that you drink half an ounce to a full ounce of water for every pound you weigh. In other words, as a 145 pound woman, I should have between 72.5 and 145 ounces of water per day. You can read more about how water effects your cellular processes and why you should drink that much here. That’s a lot, right? And if you don’t like drinking water, that probably sounds like an insurmountable task. But I have a couple of easy tips on How to Drink More Water and Love It! Let’s start with a couple of simple tricks to up your water intake that make a big difference. It’s not difficult if you know how. 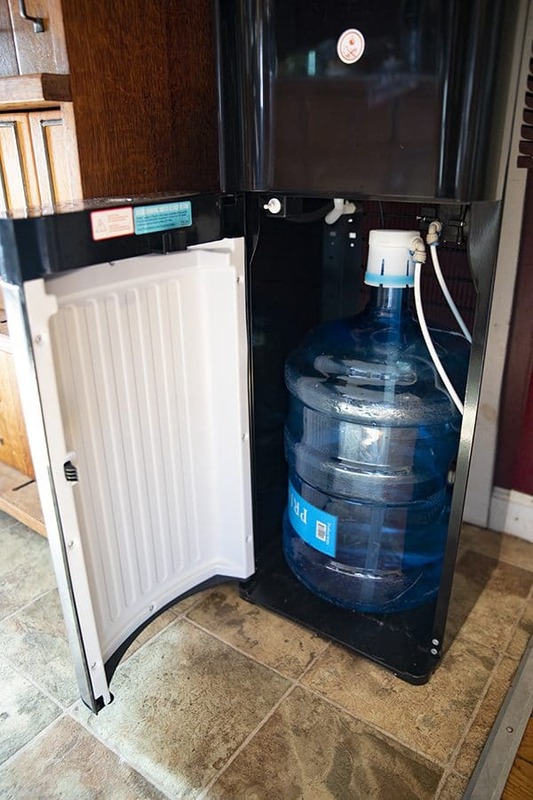 1) Get a quality water dispenser. 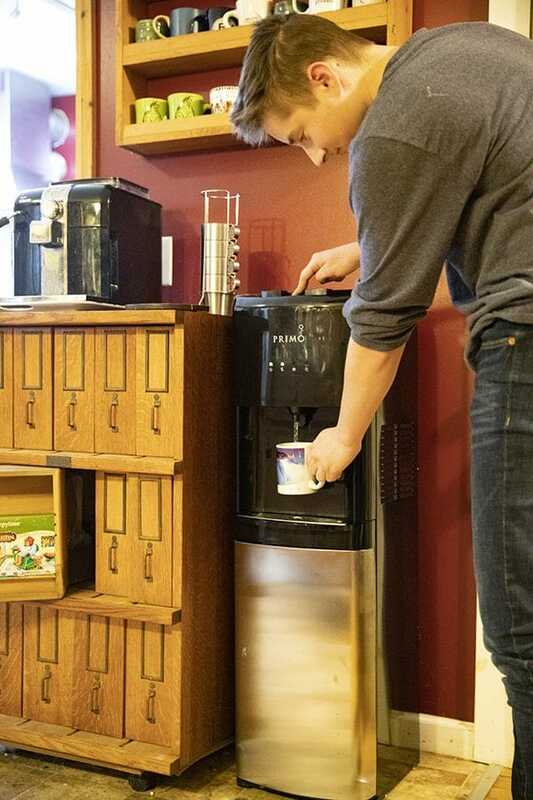 A Primo Water dispenser keeps ample amounts (5 gallons!) of Primo on hand for your whole family. Their water is purified in a multi-step process including reverse osmosis, so you know it’s free of contaminants. 2) Have a reusable, preferably insulated water bottle or cup that you love the look AND feel of. It’s got to be something you don’t mind looking at and carrying around, but more importantly, it has to feel good in your hand and against your mouth. If you’re looking at consuming close to a hundred ounces of water out of it daily, you want to like the actual sensation of drinking from it. Do you like straws? Go with it! Prefer the feeling of glass or stainless steel against your lips? Get one of those! This is my long time favourite cup. It’s stainless steel, huge, insulated, and accompanies me almost everywhere! It comes in a variety of colours if stainless isn’t your thang. 3) Find the temperature of water you like best. This sounds weird, but stick with me. I am probably the biggest water drinker I know. I never leave the house without a 32 ounce insulated cup full of water. In the winter, that water is hot, and in the summer, that water is, well, tepid. Wait. What? It’s true. I’m a warm water drinker. It’s just my preference. I think it’s more calming. I have found that I naturally sip at my water more often when it’s warm or hot. That said, I’m a warm water drinker in a family of mostly cold water drinkers. 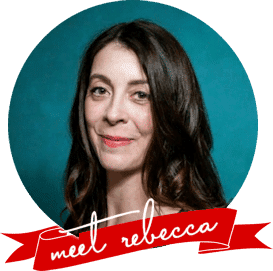 And honestly, we’re a super physically active family who builds their days around outdoor and sporting activities, ballet, and generally being on the move. But the important thing is we all drink water. Whether you like it hot, cold, or anywhere in between the Primo Water dispenser does that for you. 4) Set a reminder on your phone that isn’t obnoxious. Don’t brow-beat yourself or guilt yourself into it. Remember that you’re going to feel much better drinking a lot of water than drinking a hundred ounces of coffee or soda, in most cases. 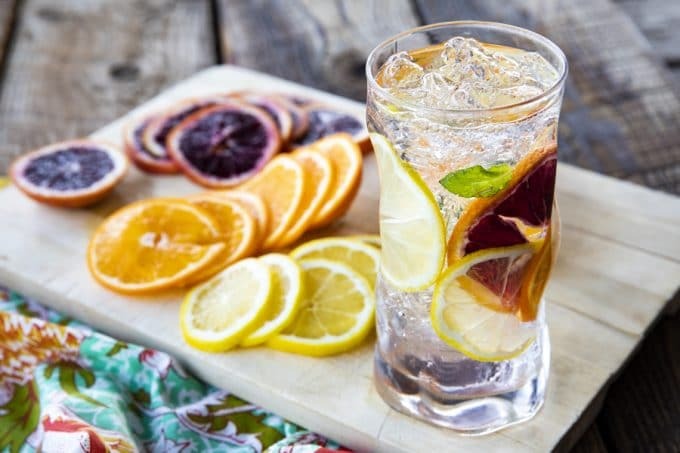 5) If you’ve tried all of this and just can’t love it yet, add a little something exciting to your water in the way of citrus fruits, berries, or herbs like mint or basil. There are quite a few nice infuser water bottles out there, and there’s sure to be a combination of good stuff that makes you want more! Lemon slices with a sprig of mint, blueberries or strawberries with a couple of leaves of fresh basil, or a slice each of apple, pear, and lemon are wonderful combinations. 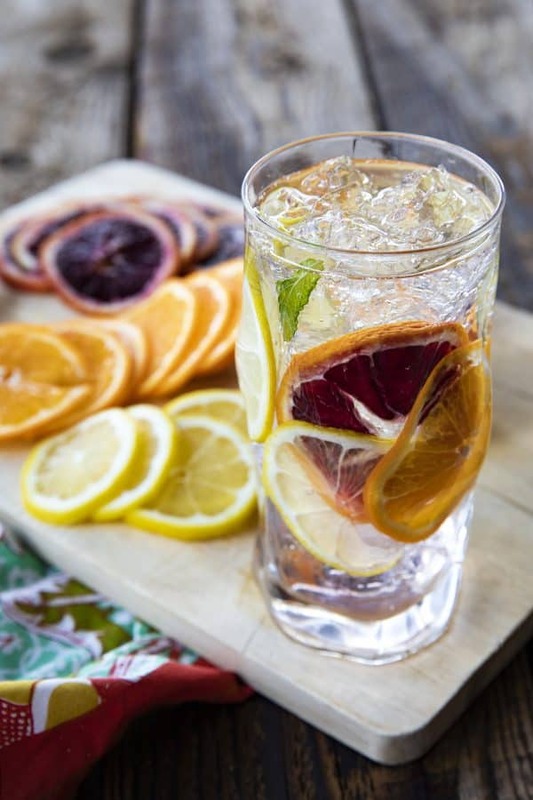 See the end of the post for my current favourite citrus infused water blend. Why should I drink Primo Water? Sometimes iron starts seeping into our well water supply and it tastes a bit like a rusty nail. While we’re lucky we have a “tell” like that and I feel better overall knowing we have a source of purified water like Primo Water. 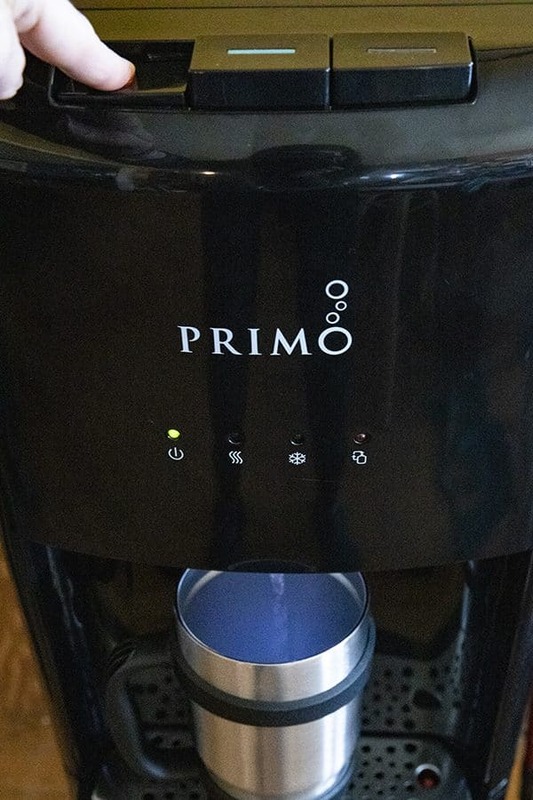 The Primo Water dispenser makes life even easier for our mixed temperature family, giving me a constant source of fantastic, piping hot water, and my kids the chilled water they prefer. This means that throughout all of our various and numerous activities, we’ll at least be hydrated! And the Primo Dispenser makes it so my kids drink more water because it’s at a temperature they love, meaning less down time from the nasty side effects of dehydration: headache, tiredness, irritability, susceptibility to illness, dry skin, muscle cramps, dizziness, and rapid heartbeat, just to name a few. We love the motto of Primo Water: Drink Big. Drink Healthy. My favourite Primo Dispenser is the Deluxe Bottom Loading Water Dispenser. I love that I don’t have to hoist a big, full bottle of water onto the dispenser. And the dual temperature dispenser makes us all so happy. My youngest son and I get our hot water, the others get their cold water. There is also a button to dispense room temperature water. Besides all that versatility, they look sleek and clean, too! If I had to choose another one to recommend, it would be the Deluxe Bottom Loading Water Dispenser with Self-Santization. I love that self-sanitization feature! 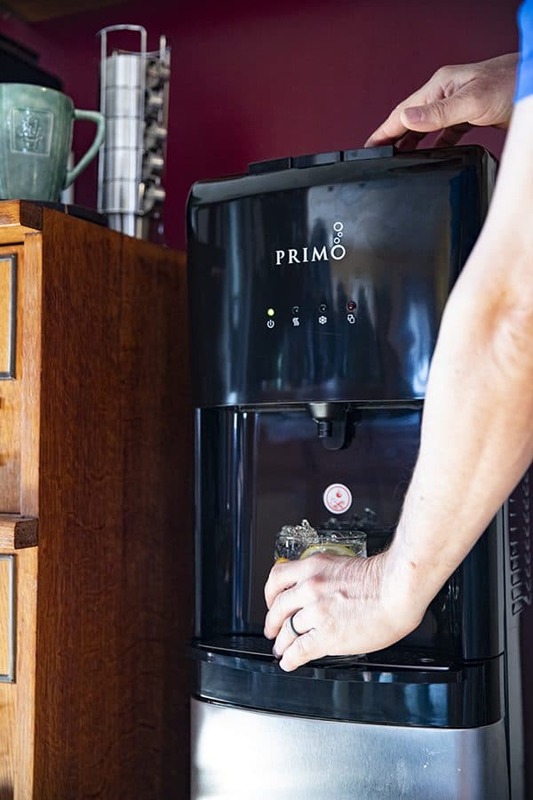 Primo Water has generously offered a discount code for Foodie with Family readers so you can get your very own Primo Water Dispenser at a 25% discount! 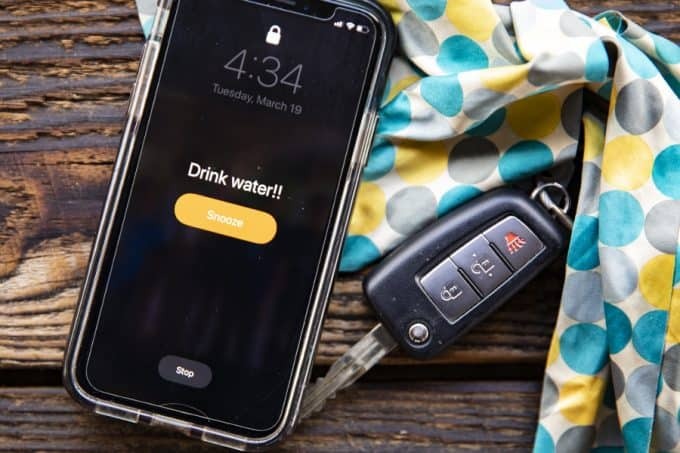 Use Promo code: DRINKPRIMOWATER25 Also included is a coupon for your first 5 gallon bottle which will be mailed after purchase (that’s almost a $15 value), and FREE fast shipping to 48 states! Each Primo bottle is reused 40-50 times before made into a new bottle. That means far less waste than you’d get with 1100 water bottles; the equivalent number of single use water bottles that it would take to fill that bottle 40 to 50 times. Primo Water Bottles are available at tens of thousands of locations either through exchange or refill machines. Even in my rural area, there are at least 4 stores within driving distance of me who carry exchange/pre-filled bottles. They’re commonly found at big box and retail stores like Walmart, Lowe’s, Home Depot, Sam’s Club, as well as many grocery store chains. Here’s a handy store locator so you can find your nearest locations. You can also refill bottles at many locations. Again, check that store locator! Primo Water is s high quality water with rigid standards for its purification process to be sure it is free of contaminants! My favourite way to drink water is this citrus mint blend infused water. My kids love it so much that I keep the sliced citrus in the refrigerator next to a bundle of mint. Then the kids can prepare their own infused water as easy as 1-2-3! Slice 2 lemons and 4 oranges (they can be the same or different varieties). 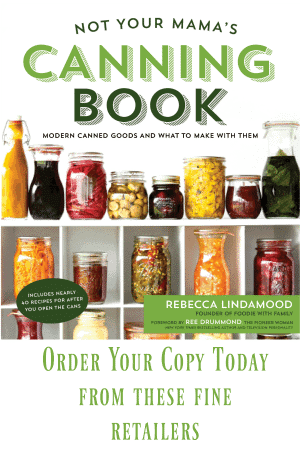 Put them in a container with an airtight lid. Wash a bundle of fresh mint and place the stems in a jar of water. Place in the refrigerator. To prepare citrus infused water, add three or four slices of citrus and a mint leaf to an ice filled glass or reusable water bottle. Let stand 5 minutes before drinking. This glass or bottle can be refilled several times before discarding or replacing the citrus and mint. If you're wondering how to drink water every day and love it, I've got a really great infused water to help you meet your water intake goals; Citrus Mint Infused Water. 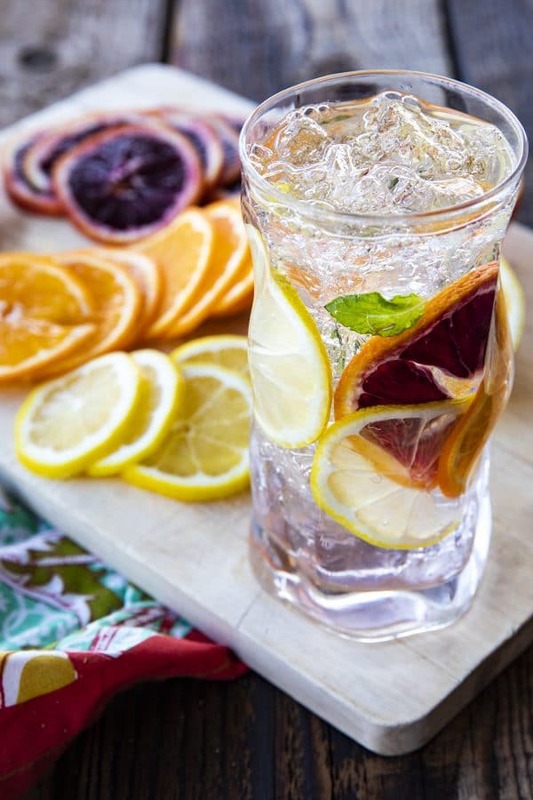 Keep containers of sliced citrus and washed mint in your refrigerator and you're just seconds away from deliciously tangy and lightly sweet water that's a treat to drink. 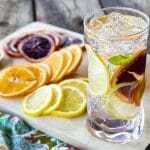 Add 1 slice of lemon, 2 slices of orange, and 2 mint leaves to a glass with ice. Fill with water and let sit for 5 minutes before drinking. This glass can be refilled several times before discarding or replacing the citrus and mint. Brilliant way to consume more water a day .